TCS NextStep portal two type of industries for graduates depend on their academic degree. They are IT-Information Technology for Engineering/MCA/Arts/Science & Diploma graduates and BPS-Business Process Service for MBA graduates. The detailed eligibility criteria for NextStep TCS are given below. How to Apply TCS NextStep? Step 5: Click on continue and provide your password and log in. TCS On Campus: For TCS on campus selection process candidates need to carry the print out of the above application form. When TCS Off Campus for 2019 Batch? 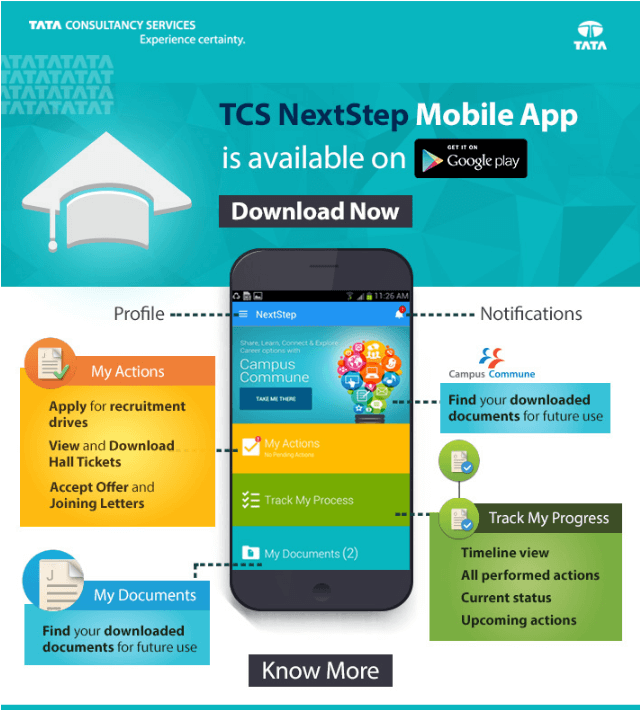 TCS NextStep has an exclusive app in google play store. 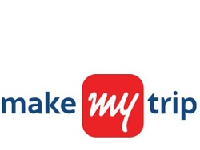 Candidates can use this app for submitting the online application, Track your application status, TCS Campus Commune. The app features are listed below in the image. TCS NextStep App also available for Apple iOS devices. 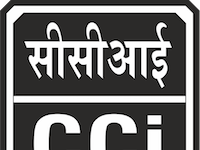 Candidates can download this app from Apple iTunes website/App Store. Receive real-time notifications about various events, quizzes, coding competitions along with your application Status. Get all the information about TCS in News through TCS Buzz. Track your Application in a Timeline format, with a history of all actions taken along with upcoming action to perform. Receive and download Hall-Tickets for TCS Off-Campus Recruitment Processes, and choose your preferred location of the test (Applicable for Candidates appearing as Off Campus Candidates). 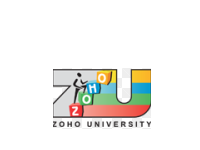 View and Download your Offer Letter, Joining Letters, choose your preferred Stream of work and City in which you wish to work. View your downloaded documents at any time. Connect and Collaborate in various forums and communities with Candidates from across the country and beyond on Campus Commune, now on your mobile. Reach out to us through calls and e-mails on our TCS helpline by a simple touch on the screen, regarding all your Application and recruitment related queries.